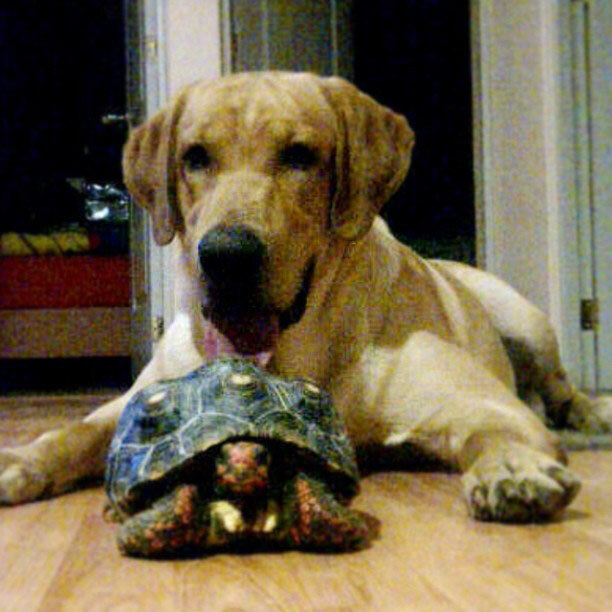 There are numerous types of tortoise, including the Red Footed Tortoise, the African Spurred Tortoise, and the species picked most commonly as pets, Hermann’s Tortoise, the Horsfield tortoise. They have many common traits, but pet owners should know and understand how they differ regarding their needs. This tortoise is usually very popular as a pet and also comes under various common names. Variations of these are the Russian tortoise, the Russian steppe tortoise, the Central Asian tortoise, the Four-clawed tortoise and the Afghan tortoise. This tortoise belongs to the Asian continent and is mainly found in South Eastern Russia, Afghanistan, Pakistan, Uzbekistan, India, Iran and some parts of China. 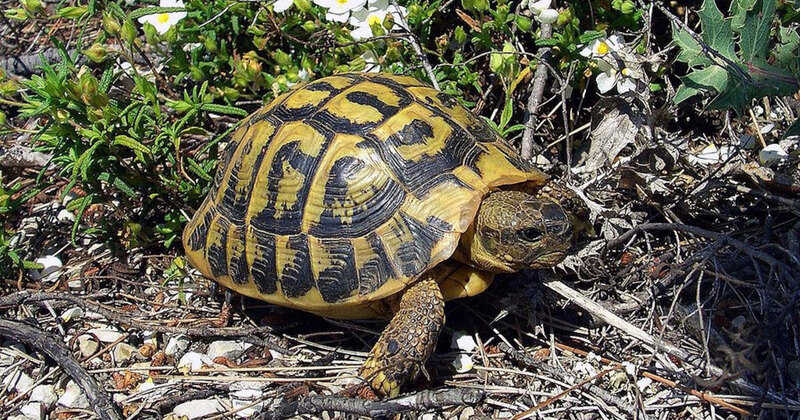 It is related to the Mediterranean species of tortoises. The Horsfield tortoise is usually small in size with the average size of an adult male being 6 to 7 inches. The female Horsfield tortoise can be about 9 inches long. They are terrestrial species which are used to living in hot, dry places and are quite adaptive to extreme weather conditions. These tortoises need sunlight, but when it gets too hot, they dig and burrow to avoid dehydration and high humidity. When it is extremely cold, these tortoises go into hibernation. These tortoises are physically stronger than other species of tortoises as they can tolerate extreme weather conditions. 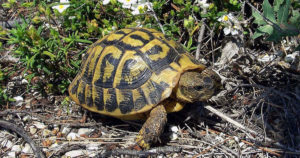 The Horsfield tortoises are mostly herbivorous, but they do not graze. They like to eat fresh vegetables, fruits, and other vegetation. It is important to take care of their feed. They should not be allowed to eat too much lettuce and cabbage. The diet of these tortoises should be rich in calcium and vitamins. The African Tortoise is more commonly known as the Geohelone or Sulcata. It is a large, friendly and active species and has thrived in captivity. Its natural habitat is varied and can range from dry Savannah desert to grasslands. It is becoming rarer in its natural habitat but specimens can still be found in areas of Ethiopia and the Sudan and often along the southern edge of the Sahara Desert. It is the third largest tortoise species with males often reaching more than 30 inches. The shell or carapace is a tan color and has a low curved shape rather than a dome shape. It has gained its name from the Spurs or tubercles on its back legs. Due to its larger size, this species requires a large enclosure in which to live happily and healthily. They are hardy tortoises but do need to have a secure environment as they will dig large holes if left to their own devices! If you provide enough hiding places within the enclosure, your pet will be less likely to try to escape to the world beyond. The Red Food tortoise thrives in a warm, moist environment. If you don’t live in a climate where it stays pretty moist and around 75 to 80 degrees Fahrenheit (23 to 26 degrees Celsius), you should probably try to find a different type of tortoise that is more suited to your climate. Because there are so many types of the tortoise to choose from, this shouldn’t be a problem at all. 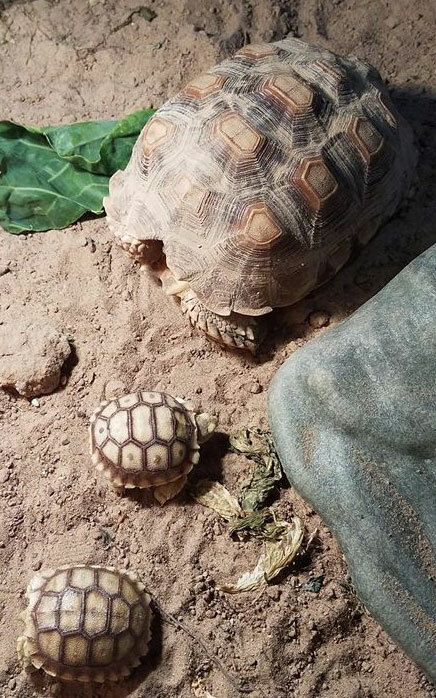 These tortoises will reach 12 to 14 inches (30 to 35 centimeters) as adults and will, therefore, need a large outdoor enclosure once they reach about two years of age. Be sure that there is nothing in their enclosure that can hurt him, including various chemicals, animals, and unsafe plants. It is important that he has access to a shallow water bowl which he can soak in, and plenty of places to hide. You will also need to provide a tortoise house which can be completely enclosed for nights and rainfalls. This is golden brown with two dark stripes on the underneath (plastron). The males have longer and thicker tails but are much smaller than the female. The female Hermann’s tortoise can reach 10 inches in length with the males averaging only 5 inches. These chelonians originate in Europe and can be found across the south of France through to Italy, Greece, and Turkey. Much of their natural habitat has unfortunately been lost due to deforestation and urbanization of the arid grasslands and scrub hillsides where they originate. The Hermann’s tortoise is a hardy and resilient creature, but it does need a dry and sunny outdoor enclosure if possible. Although this species is more tolerant of dampness than the Russian or Horsfield tortoise, it will not be happy in a damp environment. As they can grow to over 10 inches, they will also require a considerable area in which to live.